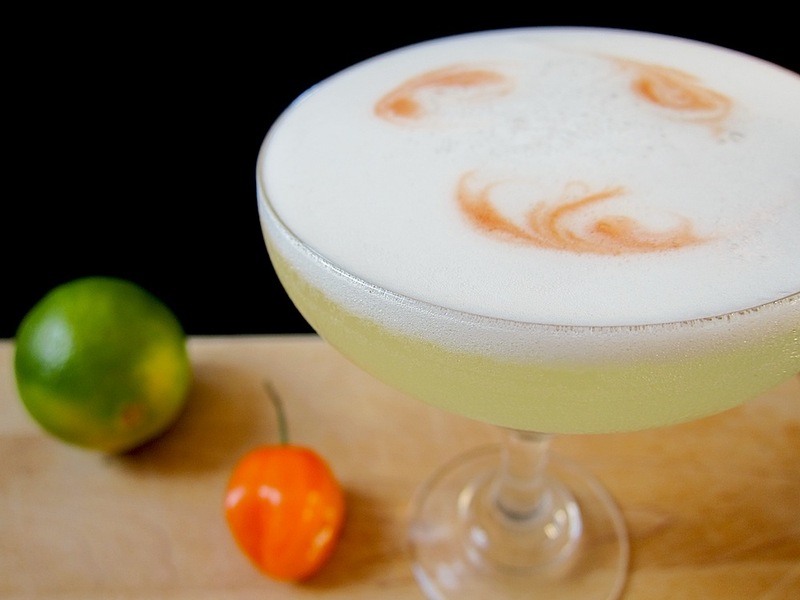 Take a poll of modern mixologists asking the few essential ingredients a bar cannot live without and you’ll likely find Angostura Bitters at the top of most lists. Despite evolving trends in cocktail culture, Angostura has endured and its production methods—almost 200 years later—have remained faithful to the original. The diminutive bottle with the oversized paper label is ubiquitous in every serious cocktail bar and every amateur’s stash at home… but what is it? 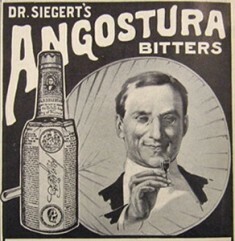 The recipe for Angostura Bitters was developed by a German Doctor, Johann Siegert, who was a Surgeon General in Simon Bolivar’s army in Venezuela. He created his tincture, “Dr. Siegert’s Aromatic Bitters”, to treat soldiers with upset stomachs. Siegert originally produced the tonic for sale in 1824 in the town of Angostura where he was based in Venezuela, now known as Ciudad Bolivar. 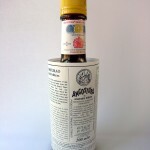 In 1875, commercial production of Angostura Bitters moved to a plant in Port of Spain, Trinidad not long after Dr. Siegert passed away. It continues there today. Why does that label hang over the edge like that? So, why doesn’t the label fit right? When Dr. Siegert’s two sons took over the production of their father’s bitters they decided to enter them into a competition. One brother was responsible for designing the bottle and the other would be responsible for designing the label. 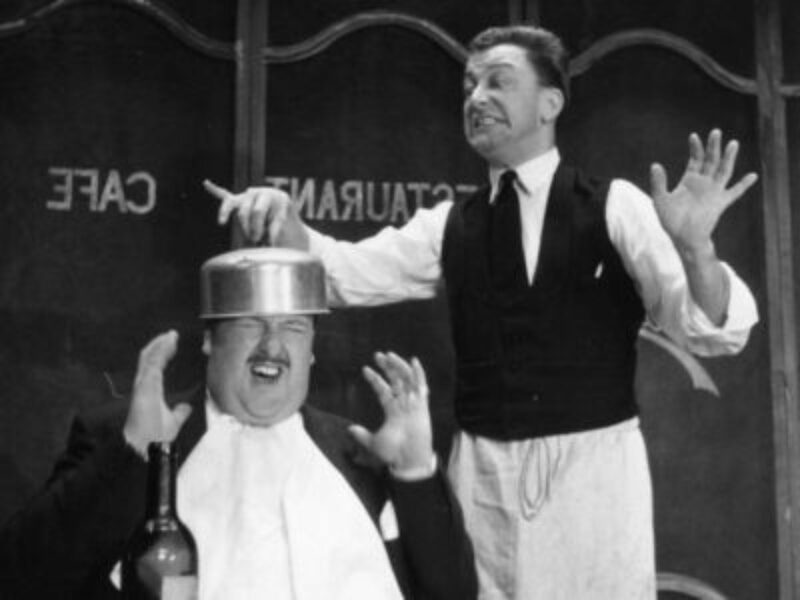 Without consulting each other, the labels and bottles produced were ill-fitting and did not adhere properly. By the time they realized the mistake, it was too late. Though they lost in the competition, a judge suggested that the awkward label could make the product more memorable and a useful tool for marketing. The ingredients that make up Angostura are closely guarded. There are only five people at the plant, called “manufacturers”, who are responsible for preparing the secret ingredients that go into Angostura production. Many of the ingredients are flown in from England. It is bottled at 44.7% alcohol by volume diluted with water, brown sugar, and caramel coloring. 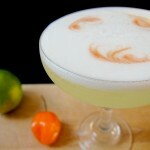 Popular classic cocktails that traditionally contain Angostura are The Old Fashioned (whiskey, bitters, muddled orange, and sugar), The Manhattan (rye, sweet vermouth, and bitters), and The Pisco Sour (topped with a few swirled dashes of Angostura). 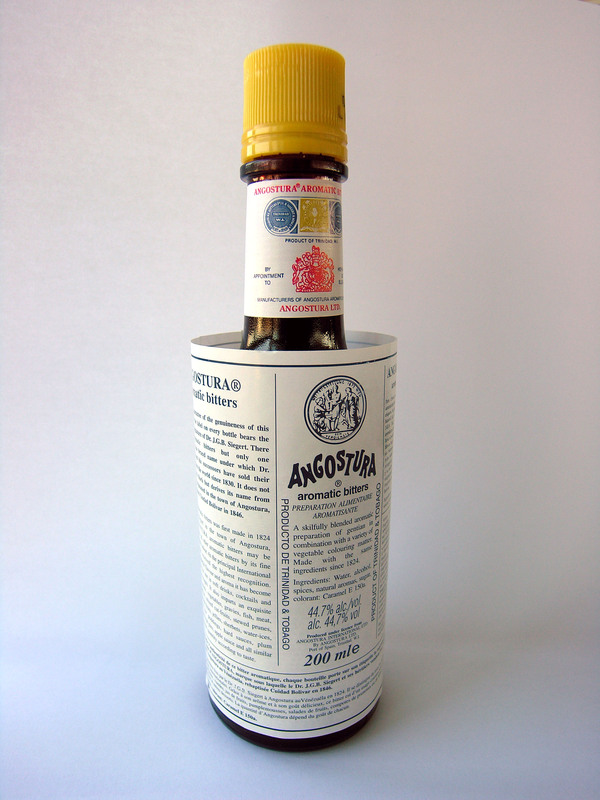 Though there are many new upstart brands of bitters emerging with boutique ingredients and flavor combinations, Angostura continues to be the most popular brand of bitters in the world. It’s impossible to imagine any bar without it. Previous PostPrevious Show Off, Party Of Two?